Fantastic views from this luxuary 3 bedroom, 6 person cottage. Less than 5 minutes walk to the historic Cardrona pub where you can enjoy fine dinning or just relax in front of the gas fire with a glass of mulled wine. You will not be disappointed with what you get. The new whisky distillary is also just 10 minutes walk down the road ( maybe a little longer to get home ) Bang for your Ski buck. BOOK now before this unit is FULLY BOOKED. I bought the property with outdoors adventures in mind, after my first year of ownership i decided to open my Villa up to guests and let the rest of the world also enjoy the area and activities. Lovely clean cosy chalet in a nice resort very handy for the mountain and the pub. Such a great location and a very good layout for a group of friends with everything you need to cook at home. Could do with a little more outdoor furniture if 6 people are staying though! Would highly recommend staying here. Fantastic place to stay if you want to ski at Cardrona, highly recommend. Fantastic place to stay if you want to ski at Cardrona, highly recommend. Our group of 6 loved the place and we will definitely be planning another ski trip here. Great kitchen/lounge setup and right next door to the Cardrona Hotel so you can walk to delicious dinners and not need to have a designated driver. Only negative is the WiFi situation was annoying as it was chargeable per person and complicated, would rather just pay an extra $10 a night to have it included. 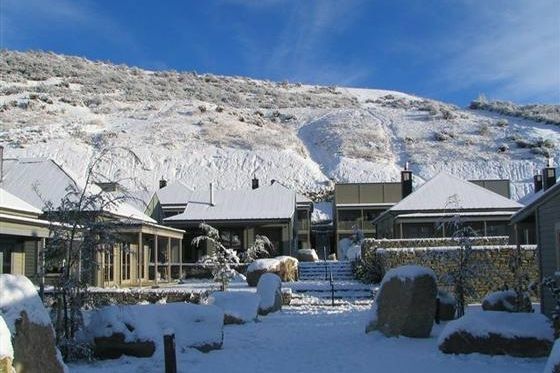 Located in the Historic Gold Mining town of Cardrona, this is the closest resort to the famous Cardrona Ski Fields in winter and Mountain Bike Tracks in summer. A short drive to QUEENSTOWN CBD and airport. Perfect for the outdoors person. My Villa is a roomy 3 bedroom with heating,fire and large beds.